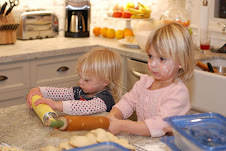 Baby Ella and Emma joined us on Saturday at my Cousin Mary & Mark's house for some Cinco de Mayo fun! 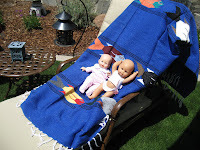 As soon as we arrived, Ella & Emma hit the lounge chair for a little sun! Don't worry they had sunscreen on.